We cannot recommend Kevin highly enough! He is a friendly, trustworthy and very reliable contractor. The fencing he erected for us was done to a really high standard, with him taking time and effort to ensure that even the small details were completed to give a supurb finish. We would be happy to recommend his workmanship to anyone and will definitely use him again in the future. Kevin has been maintaining my garden for the last two years and has carried out all the work as necessary with professionalism and efficiency. He is always helpful and cheerful and I have no hesitation in giving him the very best of recommendations. From the first consultation to the completion of the job a fully first class job – made our dreams become a reality, went the extra mile in delivering the end product. Will definitely recommend Kevin to anyone. 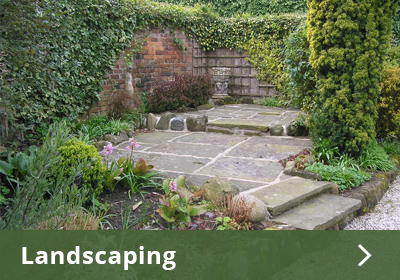 I am glad to recommend HeavenScent Gardens to people like ourselves who need an expert who is friendly, cost effective, trustworthy and has a very good knowledge in all aspects of hard and soft landscaping. Reliable and professional service, excellent advice is always given. The garden is looking much better now, thanks. Hi Kevin, just wanted to thank you for the changes you have made to our drive recently. You have done a great job as usual. We still get lots of compliments on the redesign and build of the front garden and it has made life much easier as well as looking far better. The lawn is in much better condition with your constant care and attention. I don’t see you often to say thank you but it is very much appreciated. To Heavenscent, I dont normally do this type of thing but felt that your work for us was too good to not praise you and your team for it. We are extremely happy with the completed garden and have found you and your team a dream to have work for us. The standard of work you have delivered is exceptional and we are already recommending you to family and friends. We will definitely book you in for spring to work your magic on the front garden and driveway. We would wholeheartedly recommend Heavenscent to anyone who needs personal, friendly and professional service for any gardening or landscaping work. L Kelly, Delamere Park, Cuddington. Hi Kevin, thanks for the wonderful decking area we now have in our garden, it has made such a difference to the garden and we finally have somewhere to entertain! Just wanted to thank you for the fence you have built for us, it is fantastic, you are a true craftsman.